On Thursday, HP put the final nail on the coffin for what was once known as Palm by announcing the shutdown of WebOS. Palm was a technological pioneer, a phenomenon, and had an amazing and tumultuous journey. And I was along for most of the ride for over a decade. Palm Pilot Professional - My PDA love affair started with the Palm Pilot Professional. My b-school friend showed me his "palmtop" and how it could HotSync to a Windows PC to back up all your data. He also convinced me how easy it was to learn Graffiti to write, and it was! It was so awesome! I didn't have to carry my big Dayrunner anymore. I soon became a huge advocate for Palm Pilots and directly influenced many friends and co-workers on their decisions to buy one too. An amazing feat pre-Twitter because I actually had to talk to them 1:1 and not tweet it out to my followers. Palm III - I used my Palm A LOT! And I was quite fast on Graffiti. In fact, I had used it so much, that soon the writing area got warn out and wouldn't recognize my writing anymore. So I had to upgrade to a Palm III. Interestingly enough, it was overuse of Graffiti and the Palm's stylus calibration that failed me on each subsequent model I owned that led me to upgrade to the next Palm. Palm Vx - Then came perhaps my favorite Palm, the Vx. It was metallic-looking and so sleek. This was Palm at its peak. There were countless stories of how the Apple Newton failed where Palm succeeded. Oh, but one can never count out Steve Jobs (foreshadowing). The Palm became a status symbol! Remember the Claudia Schiffer Edition of the Palm Vx? 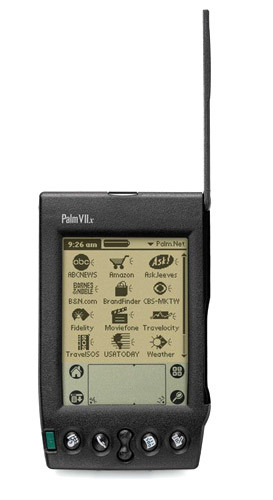 Palm VIIx - This was Palm's first wireless handheld. I actually won this in a raffle. It had basic web clipping capabilities, but not a web browser. It was bulky though and felt clunky and slow. This was a companion to my Vx and I used it to access information on the Net when necessary. Sony CLIÉ N760C - Soon, my Vx died. And Sony had licensed the Palm OS. I was so excited because of Sony's legacy in innovation. I got the COLOR (Yes, color!) CLIÉ N760C, which was focused on multimedia, like photos, video, and music playback -- way before iPods and iPhones came along. It even came with some cool headphones. Speaking of Apple, long before there was Apple's AppStore, Palm Applications existed and a huge ecosystem of developers programmed fun and useful apps for Palm devices. I loved playing IR Battleship, which allowed you to beam your Battleship coordinates to another player. And before there was Mafia Wars, there was Dope Wars. I also loved Documents To Go, which synced Microsoft Office files to my Palm. Sony CLIÉ PEG-TJ37 - My N760C had a few good years and then I had Graffiti recognition issues yet again. I liked the CLIÉ line and decided to just upgrade to the PEG-TJ37. When my CLIÉ had stylus calibration issues, I was at a crossroad. 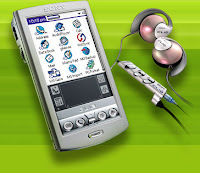 Sony discontinued Palm OS devices. By now the innovative Handspring Treo smartphone hit the market. 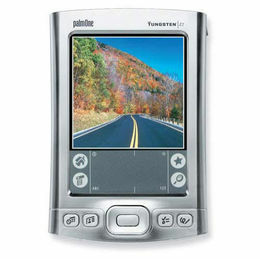 Palm would eventually buy Handspring and launch several Treo models. I was starting to think about the convenience of having a cell phone and PDA in one. But I didn't like carrying such a large cell phone around. So, I decided to get yet another standalone PDA. Palm Tungsten E2 - I returned to the mothership. By now, most of the industry R&D was on smartphones and the pure PDAs were not that impressive. At this point, it was more about the switching cost for me that kept me on Palm. I had years of data that I loved going back to reference because I was very diligent about documenting my life's events and records in my PDA. The E2 would ultimately be my last Palm PDA. I kept waiting and hoping Palm would make a Treo I liked and then I was quite optimistic when news leaked about the upcoming revolutionary WebOS. Could Palm re-capture their glory? 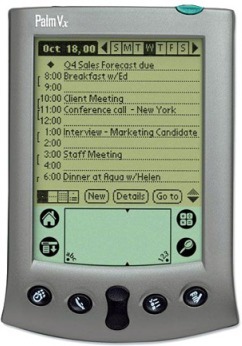 The Palm Pre did launch with lots of fanfare and had its fair share of critics and advocates. But its choice to partner with Sprint, and not Verizon, was a deal breaker for me. Years later, I finally realized that I needed to move to a more viable OS. Smartphones were here to stay and the iPhone changed everything. Eventually I bit the bullet and migrated my most relevant data (it took me weeks) into the cloud and today I am a very loyal Droid owner. Palm, farewell my friend. Thanks for the ride. Did you ever own a Palm? What's your Palm story?